Join the UNC Greensboro Department of Counseling and Educational Development (CED) and learn to hone your skills as we educate and prepare you to become a member of an enriching field. The choice of where to obtain your education is as important as the choice to become a counselor. 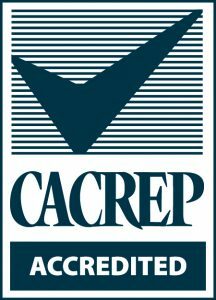 The counselor preparation programs within the Department of Counseling and Educational Development are CACREP (Council for Accreditation of Counseling and Related Educational Programs) accredited and offer excellent training through the Master’s and Doctoral Degrees. The department also offers professional development opportunities for current professionals. Review our CACREP Student Outcomes Data to learn about timely completion rates, licensure/certification exam pass rates, and job placement rates. If your passion is school counseling, clinical mental health counseling, couple and family counseling, or counselor education, the Department of Counseling and Educational Development offers specialized tracks that position you for the career of your choice. Engage in experiential learning through internships, multiple practica, supervised practice in the Vacc Counseling and Consulting Clinic and other unique and extensive hands-on learning opportunities. Graduate with a strong professional identity, a network of renowned alumni, and the skills you need to make an impact in the field of counseling.